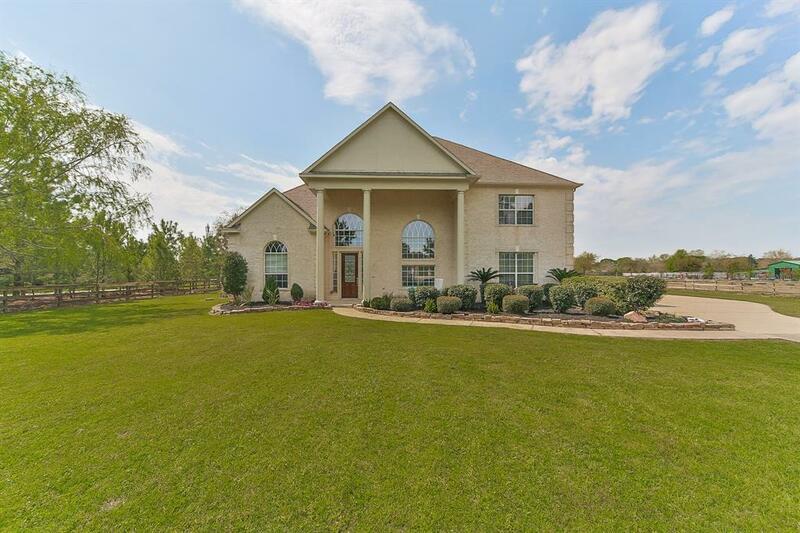 Sitting on 2 acres of land, this beautiful home in Cypress offers both privacy and convenience. 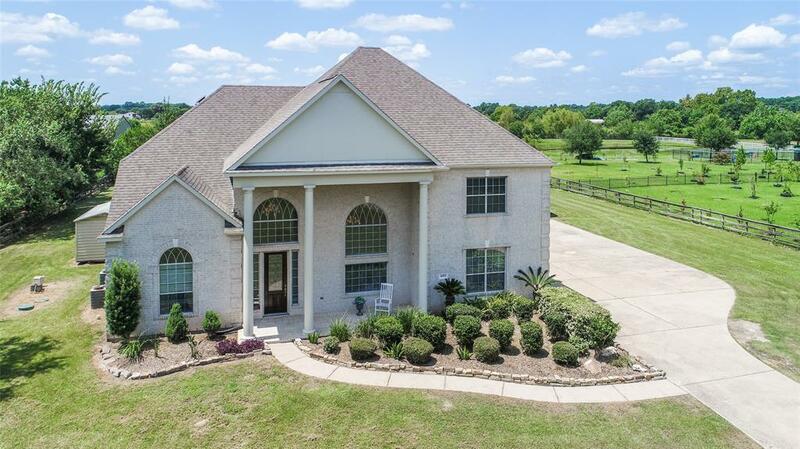 Boasting high ceilings, tile flooring, 2 staircases, an electric fireplace with a stone surround, study with French doors, game room, an additional family room, formal living & dining this house has it all. Entertain guests in the beautiful kitchen, featuring a tile backsplash, oversized island, and a breakfast bar. Slip into tranquility in the spa-like master suite, complete with a spacious walk-in closet, dual vanities, a whirlpool tub, and separate shower. The immense lot this house sits on is equipped with a barn, workshop for various projects & a stocked catfish pond. BONUS Guest House which is an additional 600 sq ft 1 bedroom home with a living area, kitchen, bathroom and private septic and electrical meter making it a useful rental. 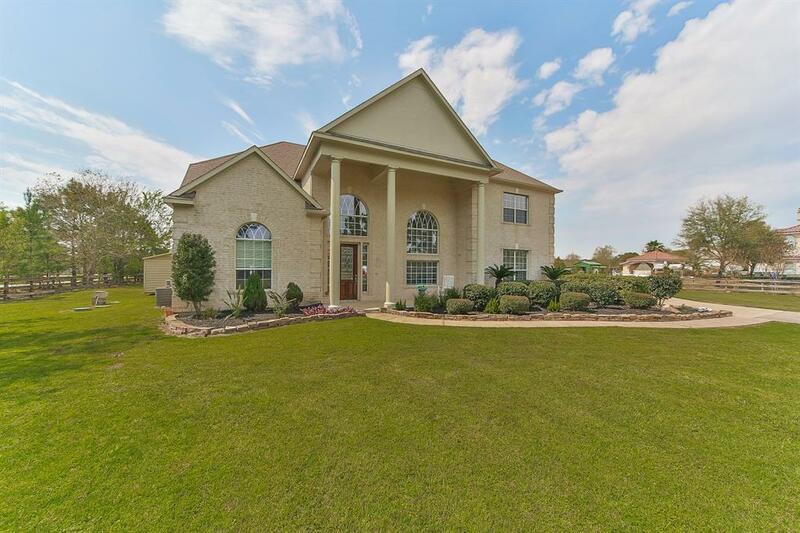 Easy access to major roadways, such as U.S. 290, the Grand Parkway, and Highway 249. 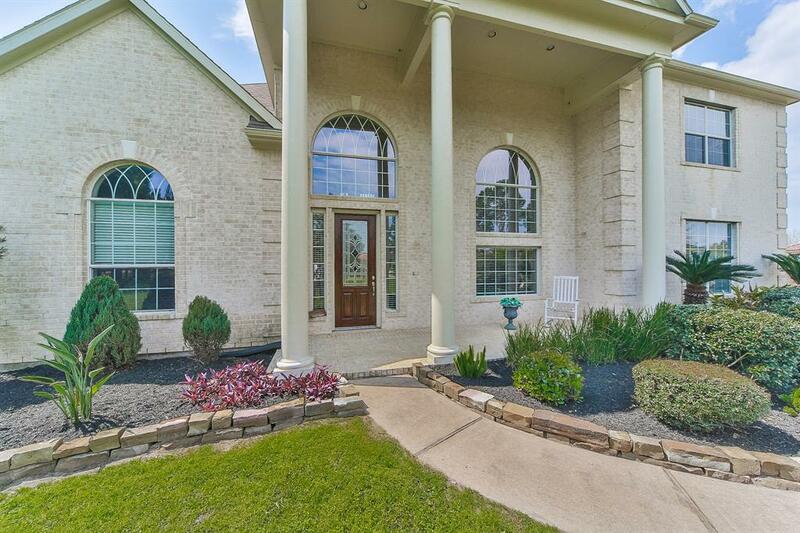 Cypress Towne Center is just 6 miles away! Cypress-Fairbanks ISD.